Touchtone Corporation presents Wintouch, the leading CRM solution designed specifically for IBM servers. Learn about Wintouch CRM and some of our unique features for companies that run their business on the AS/400. Your customers and partners may be demanding mobile access to their own information now that smartphones have reached critical mass and tablet purchases are now outpacing laptops. However, developing apps on your own can be daunting and very expensive. The latest Wintouch version offers tools for building custom apps. 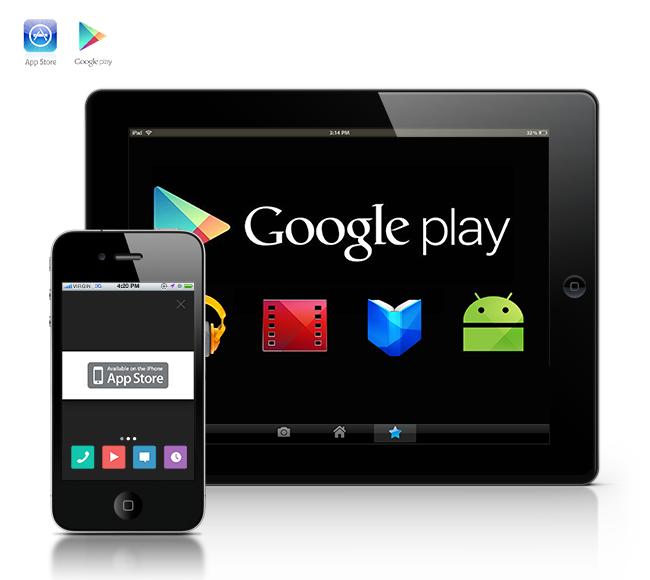 As part of a service engagement, we can deliver mobile apps on Apple App Store and Google Play Store, with your company or product name and logo. Contact your Wintouch representative for more information. Founded in 1991, Touchtone's goal was to develop client and server software for IBM iSeries AS/400 users. Today Touchtone has established a strong reputation for delivering powerful software solutions and outstanding customer support. © 1991 - Touchtone Corporation.